The England women’s cricket team will be met by a sell-out crowd of 26,500 people as they walk through the Long Room and out onto the pitch at Lord’s for their World Cup final clash against India on July 23. The last time England won this competition on home soil, in 1993, the players had to receive special permission to make the same walk through the pavilion, which did not officially open its doors to women until 1999. This record attendance for an international women’s cricket game in England and Wales is testament to the game’s development. But it also exceeds the expectations of many – including Lord’s owners, the Marylebone Cricket Club, which required reassurance from the International Cricket Council that it would be able to fill the nation’s largest cricket ground. Encouragingly, 31% of those 26,500 tickets have been sold to under 16-year-olds. This positive sign of the growing popularity of the women’s game among young people was also evident in the inaugural Kia Super League – a 20-over women’s tournament – in 2016: 42% of fans attended with families. A criticism of women’s cricket has been the perception that it is less entertaining than its male counterpart. A lack of sixes and slower bowling has been attributed to an alleged lack of strength and physicality in women. This perception has not been confined to cricket – many female athletes have had to battle against the traditional notion that strength is a “quintessentially masculine attribute”. This notion suggests that women are not only incapable of acts of strength, but that they should also be viewed negatively if striving to achieve them. After England’s exit from the 2013 World Cup, coach Mark Lane suggested that part of their downfall may have been their lack of big hitters. The England squad have since channelled their efforts into improving their hitting. Alongside the already emphatic hitting ability of women players across the world, such as India’s Harmanpreet Kaur who hit seven sixes and 20 fours in her team’s semi-final win over Australia, this defies both the traditional notions of strength and the subsequent perceptions of the game. Players seek to combine strength with skill. The number of sixes England have hit has risen from just three in 2013, to 20 in this year’s tournament so far. This continued increase in the quality of cricket, aided by the 2014 introduction of full-time professional contracts, is perhaps one contributor to the growth in popularity among fans and players across the country. Since 2005, more than 1.5m girls in state schools have played cricket through the Chance to Shine charity. The number of clubs in the country with women and girls’ sections has risen from 90, ten years ago, to now more than 700. Chance to Shine street projects have also provided opportunities for young people who may not have access to local clubs. Despite this growth, the 2014 ECB National Playing Survey indicated that still only 7% of participants in England and Wales were female. The England womens’ World Cup games have had a community feel to them. Average ticket sales have been higher than any previous women’s World Cup at around 1,700 per game and women have purchased 50% of the tickets. These matches have been well-attended by women and girls’ club teams from across the country coming together to support the national team. These fixtures provide the perfect social opportunity for the women and girls’ cricket community in a family-friendly atmosphere. This is an atmosphere that seems to have been lost in some forms of the men’s game, such as the domestic T20 competition in which crowds are now often much more alcohol-focused than family-focused. The presence of tangible, accessible role models in women’s cricket has also contributed to the rising interest in the game from young people. Prior to the introduction of their full-time playing contracts three years ago, England women were employed by the ECB as both players and coaches, allowing them to spend a large amount of time with young people in the game. 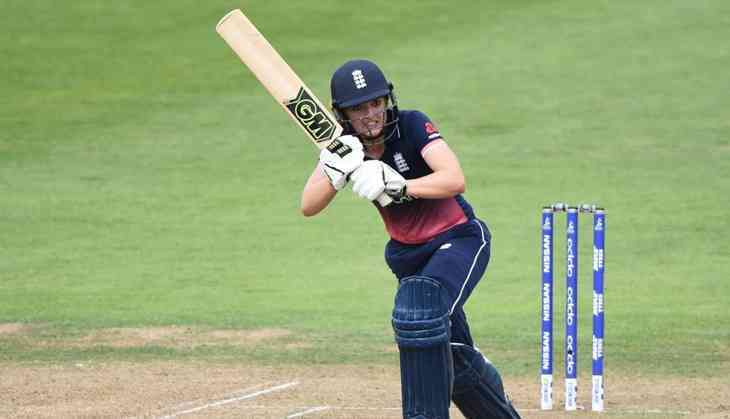 The ongoing involvement of high-profile Chance to Shine Coaching Ambassadors such as England captain Heather Knight – and a playing schedule that is less demanding on their time than the men’s – mean that this contact time has continued. The best women’s players in the country have been allowed to maintain a close, hands-on relationship with the grassroots game – a huge positive in the engagement of young people. The strength of women’s cricket continues to grow in England and Wales. The second year of the domestic T20 Kia Super League begins less than three weeks after the World Cup final, featuring top players from across the world. This year eight games will be shown live on Sky Sports. The signs for both the professional and grassroots games appear positive – and women cricketers are only going to keep hitting more and more sixes.